The ISO is a 79-room oceanfront retreat on Kauai’s famous Royal Coconut Coast. 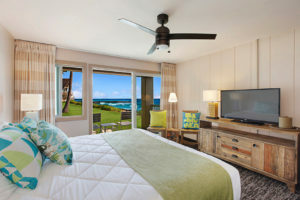 HONOLULU, March 6, 2019 /PRNewswire/ — The ISO, a Castle Resorts & Hotels property, on Kauai’s Royal Coconut Coast was recently named the 2019 Best Boutique Hotel in Hawaii at the 2nd Annual aio Media Hawaii Lodging and Tourism Awards. An acronym for Island. Sky. Ocean., The ISO is the only property on Kauai’s east shore that literally sits on the ocean’s edge without any form of separation. As a result, all of the rooms offer ocean views. It reopened to the public in April 2018 following a $5 million renovation of the lobby, guest rooms, exterior and grounds. The ISO is the only lifestyle boutique hotel on the coast to offer a free healthy continental breakfast, a reusable keepsake water bottle, and yoga mats and canteen coffee mugs in all rooms for guests’ use. The ISO also offers yoga and other fitness options on the oceanfront lawn as well as beach cruiser bikes to explore the area and the four-mile coastal trail adjacent to the property. The guest rooms feature a rustic, contemporary décor and include a refrigerator, coffee maker, flat screen TV, WiFi, Bluetooth, and USB capable clock radio. Among the property’s amenities are an oceanfront swimming pool, large grass courtyard with lounge chairs and tiki torches, fire pit, and filtered water station. The ISO is also home to the island’s number one-rated Bull Shed Restaurant, which specializes in gourmet steaks, prime rib and fresh island seafood. The 2nd Annual aio Media Hawaii Lodging & Tourism Awards honors key industry professionals, events, attractions and businesses that contribute to Hawaii’s booming tourism industry. It is presented in partnership by aio Media Group and the Hawaii Lodging & Tourism Association. Rates at The ISO begin at $179 for an ocean view guest room and include a complimentary continental breakfast from 7:00 to 10:00 a.m. daily. A $19 daily resort fee includes water bottle, bicycle use, yoga and other fitness options on the lawn, parking and WiFi. For more information, call (808) 545-3510 or visit TheISO.com. Castle Resorts & Hotels was founded in 1993 and is a wholly owned subsidiary of The Castle Group, Inc. Headquartered in Honolulu, Castle manages a broad portfolio of guest accommodations including value/economy hotels, full-service hotels and spacious all-suite condominium resorts and luxury villas in the Hawaiian Islands on Oahu, Maui, Molokai, Kauai and Hawaii, and in New Zealand on the North Shore of Auckland. 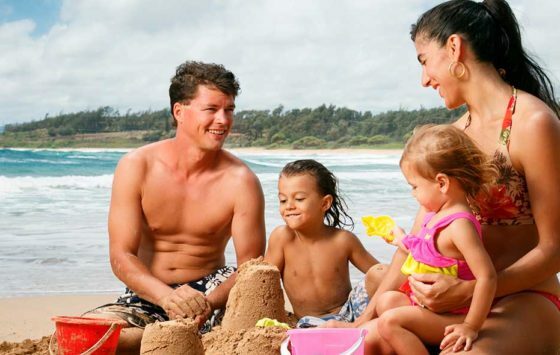 To learn more or to make a reservation, visit www.castleresorts.com or call (808) 367-5004. Keep up with current events at www.instagram.com/castleresorts and www.facebook.com/CastleResortsAndHotels. Kauai Shores Hotel announced in March that it is now accepting bitcoin payments for online reservations. This hotel, on the Royal Coconut Coast, is the first on the Garden Isle to accept the cryptocurrency for reservations, according to a release from parent company Hawaiian Hotels and Resorts, a member of the Hogan Hospitality Group. Additionally, the Kauai Shores Hotel is offering a limited-time special of $149 per night for guests who pay with bitcoin. See www.kauaishoreshotel.com/bitcoin-reservation. From eturbonews.com: An exciting and extensive renovation and rebranding of the venerable Mokihana Resort on Kauai is soon to be completed and introduced to the marketplace with a new name. Called The ISO, an acronym for Island. Sky. Ocean., the hotel has soft launched, with construction completion and full launch slated for April 2, 2018. Managed by Castle Resorts & Hotels, the 79-room hip boutique hotel offers a private, oceanfront retreat on the island’s famous Royal Coconut Coast. The ISO is the only property on Kauai’s east shore that literally sits on the ocean’s edge without any form of separation. As a result, all of the rooms offer ocean views. The $5 million renovation included the lobby, guest rooms, exterior and grounds. 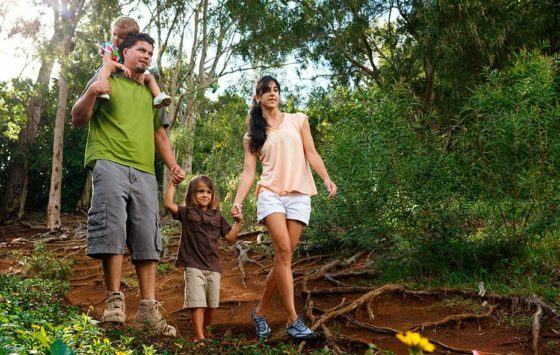 Perfect for the active traveler, The ISO is conveniently located to hiking trails, golf, waterfalls and gardens. It is centrally located 10 minutes from the airport and in close vicinity to the shops and restaurants at the Coconut Marketplace. Resorts on Kauai’s Royal Coconut Coast are underway with $37 million worth of projects targeting completion in 2018 and 2019. Kauai Shores Hotel is wrapping up an extensive renovation with improvements to the front pool, deck and the large hot tub, all facing the beach. Upgrades on air conditioning units will be complete by early 2018. 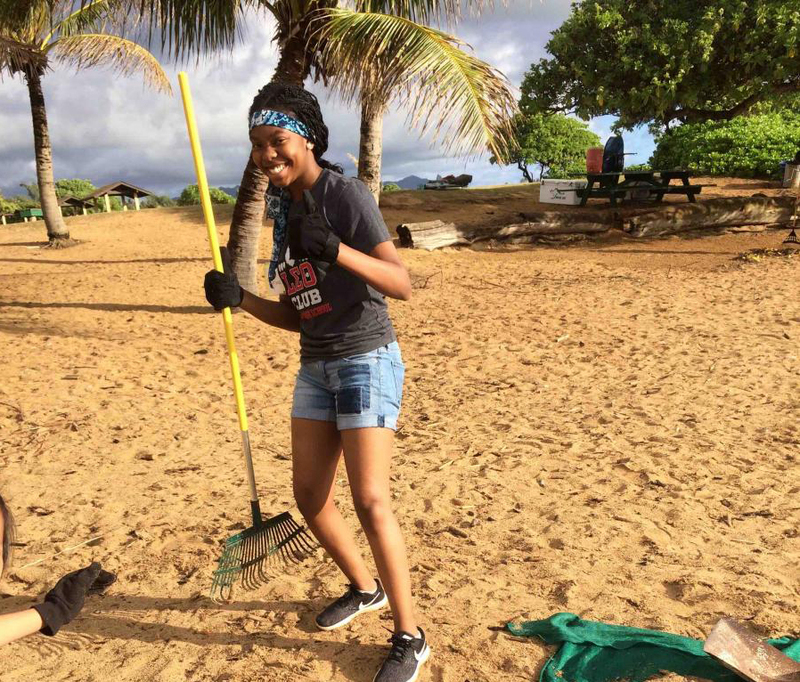 Mokihana Resort, an oceanfront resort, is halfway through a revitalization project for all of its rooms, public spaces, and the lobby area. Expected completion is February 2018. Also underway are renovations at the oceanfront Pono Kai Resort, with a 6-year project expected to be complete by June 2018 when Phase II is finished. Tackling the project, one building at a time, this resort has been installing new tile floors, more soundproofing, renovating all bathrooms and replacing all furnishing and appliances. On tap for 2018 are two significant renovation projects. Hotel Coral Reef Resort, a boutique oceanfront property, will launch its plans to add a third story on the oceanfront building, establishing four new guest rooms and two new suites, with kitchenettes. Coming up in 2018 at Kauai’s Courtyard Marriott are significant renovations scheduled to start August 2019 and wrap up February 2019. These will include a complete remodel of guest rooms, public spaces, the courtyard area, meeting spaces and the lobby. Kauai’s Courtyard Marriott will be re-flagged as a Sheraton property in 2019. Hukilau Lanai announced a formal partnership with the Monterey Bay Aquarium Seafood Watch program, committing to serve only seafood caught or farmed in ocean-friendly ways. Hukilau Lanai is the first restaurant on Kauai and the second restaurant in the State of Hawaii to make the commitment to support a healthy, sustainable ocean through partnering with Seafood Watch. Seafood Watch empowers consumers and businesses to choose sustainable seafood. Using science-based, peer reviewed methods, Seafood Watch assesses how wild-caught and farmed seafood affect the environment and provides recommendations indicating which items are Best Choices, Good Alternatives, and which ones to Avoid. Its science is referenced by more than 1,000 businesses at 150,000 locations worldwide to help inform their purchasing decisions. As a Seafood Watch business partner, Hukilau Lanai pledges to serve only seafood rated a Best Choice or Good Alternative and to educate its customers, suppliers and employees about sustainability issues. By partnering with Seafood Watch, Hukilau Lanai reflects its awareness about growing public concern with how our seafood choices affect the world’s fish populations and the impact of seafood production on ocean health. More than 50% of U.S. consumers* say that buying sustainable seafood is personally important. Through the partnership, Hukilau Lanai patrons can be confident its menu selections come from ocean-friendly sources. Hukilau Lanai joins hundreds of partners entering into an official partnership with the Monterey Bay Aquarium Seafood Watch program and actively working with its Business Outreach program to help shift the market toward environmentally responsible fisheries and aquaculture operations.